In 2011, Robbie Robertson's album How To Become Clairvoyant was not only one of the more satisfying releases of the year, but it also was the artist's most personal statement about his life, covering topics from spirituality to the breakup of The Band. 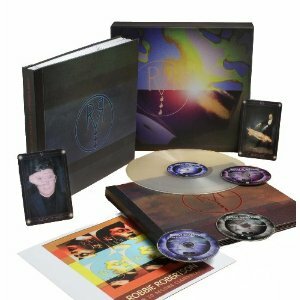 But Robertson reveals oodles more through a limited, signed, expanded box set version of the album, and it includes more treats than most collectibles attempt to gather. For instance, there is an outstanding book included, featuring over fifty pages of art, with exquisite photos and notes that span the intellectual to the heartfelt. There are contributions by artist Richard Prince, photographer Anton Corbijn, magician Ricky Jay, Sante D'Orazio, Maureen Lambray and photographer and designer, David Jordan Williams. This box also features a set of five 12″ x 12″ lithographs with each set individually numbered, one being Williams' commemorative Canadian stamp image. Yet another book is a "music" assembly that contains a CD the twelve original tracks from How To Become Clairvoyant plus another disc with ten bonus tracks. The additional CD highlights six "songwriter" versions, two outtakes, and two exclusive box set tracks. Sure, there have been many box sets that have explored the minutia of an album. But this release is all about detail, vivid images, autobiography, sonics, and just plain fun. Your coffee table will thank you for it. 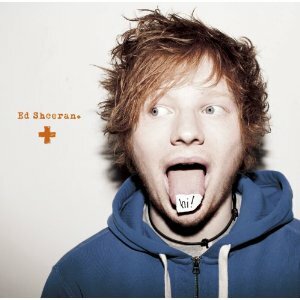 Mike Ragogna: Ed, you've got a new album, Plus. Plus? Ed Sheeran: You just said it...Plus. It's ambiguous, you can think of it what you want. Everyone's calls it Plus, but it's just a symbol. MR: Ah, it's +, okay. Now, it already features a few international hit songs, including "The A Team." And that recording was a huge record for you. Now, Jaime Fox discovered you? ES: I went to LA to do a poetry show for my friend John. John hooked me up with loads of other gigs, one of them being The Foxxhole. Markus James' manager was there, and he said, "Come and play the radio show." I played the radio show, and he said, "Come and record at my house!" So that was that and it was cool. MR: You've also done a lot of EPs, one of them being your #5 Collaborations. You had some interesting people on that? MR: Beyond your new album, you've had many releases. ES: Only in England, most of the overseas releases are only singles, too. England's ahead of the game in that sense. MR: And you've got a hit in the PLUS track "Drunk." ES: In England. "Small Bump," that's the next single. "Drunk" just peaked at #9. MR: Let's go over PLUS' other singles: "The A Team," "You Need Me," "Lego House." And we're going to have to talk about "Lego House," featuring your twin, Harry Potter's Rupert Grint. How did you pull that off? ES: Tom Felton, who plays Draco Malfoy in Harry Potter, tweeted about my music, so I got in touch and said thank you. We just got in touch and it got to a point where we'd done a music video for "A Team," we'd done a music video for "You Need Me," and it came to "Lego House" and they were like, "We need a cool concept, we need something no one has ever done before." I was like, "I've always wanted to get Rupert Grint to play me in a video, so shall we just get him?" They were like, "No it'll be too expensive and he won't have the time." So I reached out to Tom Felton and asked if Rupert wanted to do it. He was, and he did it for free, and found the date. It was wicked. MR: You've also had success with the group One Direction, who covered your song "Moments." ES: Yeah, they were on the X Factor and they've done the whole boy band thing worldwide. I think they just came to America, they're doing a lot here. I lived on my guitarist's sofa for a long time, and he played guitar for One Direction, so the one guy that I know from One Direction is a guy named Harry who's the main singer. We just hung out and he said, "We're putting our album together, can you give us a song?" I had a demo CD with around forty tunes that I was pitching to publishers, so I just gave them that, and that picked that off and they did it. MR: You've got a lot of material and for Plus you've recorded and recorded and recorded. ES: Yeah, I did a fair bit for Plus. But Plus is all demos, to be honest, so it was quite easy to cherry-pick them. They were all the demos that I recorded and when it came time to do the album, I just put it together. It only took a month to properly finish it up. MR: So your recent singles are basically demos? ES: "Drunk" was a demo, "...A Team" was a demo, "You Need Me" and "Lego House" were the two we actually worked on, but "Small Bump" was a demo; there's a song called "Give Me Love," which is the next single in England, and that was a demo as well. ES: It was when I worked at home, but I'm not as prolific now. Usually, lyric ideas come to me and I'll write loads of things that rhyme with that one sentence. I'll think of a clever sentence and find those things that rhyme with it. When it comes to putting the song together, I'll take bits out and put things in, put it to melody. MR: Things come to you? You'll be walking down the street and something will pop into your head? MR: So I bet you sing into your cell phone? ES: I do, actually. It's a bit embarrassing. I was in the car the other day in Holland. We'd just done a radio thing, we drive in the car, I stopped to have a cigarette, and I just wandered across the road, mumbling away because I didn't want anyone to hear it. MR: Dude, everybody does that these days. So you tour with Snow Patrol? ES: Yeah, it should be great. I did a gig with them in Switzerland with them at the Harlem Stadium, which is the massive venue there, like a radio gig. It was me, Snow Patrol, and Lenny Kravitz. I don't know why I was on that bill, don't ask me. It was fun, but I got a note slipped under my dressing room door from Gary from Snow Patrol saying, "We love your album, come and drink with us later." I've been a fan of Snow Patrol for a while, so I went out for a drink with them and then he said, "Look if you're free, come on the American tour," so it was really healthy. I'm always quite skeptical about supporters because usually people bite on and it's favors for other managers and labels, and usually, the bands that open up for them aren't fans or friends or anything. So to have my first massive tour in America being with people that I actually like as people and I'm a fan of and who share a similar thing with me, it's going to be good. MR: A little cross-pollination in the future on each other's projects maybe? ES: We're going to write a lot, yeah. We're on this for 55 days, so we've got time. MR: Do you have a band? MR: What's your stage show like? ES: When I come to the show, I use a loop-station or beat box. MR: Nice, so it's loops. Many people are using it now, and you can see that's it's still in the experimental phase with how beats are being expanded on. ES: I started using it when I was fourteen, which was seven years ago. I experimented with it the first two or three years, and that was when, if you had seen me, you'd have been like, "That isn't very good." Literally, I don't have the new and improved one because the older one I know so well. It's like having another instrument. MR: When you're writing, do you use some of your loops and then write to what you're hearing in your head? ES: Very occasionally. If you hear any fast song on a record that I've ever done, any hip-hop-y song, that's usually done with a loop pedal. Any slow song is usually done sitting down with a guitar. MR: You get certain tattoos while you're in the States. ES: Lego Man, yeah. I travel a lot, so that one's from LA, that one's from Hamburg, that's Austin, that's also Austin, that's Glasgow, that's Belfast, that's New York and that's New York, and that's London. I travel a lot, so I get them whenever I feel like it. MR: Although one might consider you a new artist, what is your advice for new artists? ES: Write as many songs as possible and even if you write a bad song, you've already got an album and you're never going to write that song again. Learn from your worst songs, learn from your worst gigs, do as many gigs as possible. To be the best in the industry is not about how good your whole product is. For instance, I'm in America now, and technically, America has fifteen of me. There are probably fifteen singer-songwriters who do the same thing. But you need to find that edge; I did gigs every night for three or four years just to perfect my live shows, so if you put me up against any singer-songwriter, I'm not going to sing love songs, I'm going to tear them apart and do a very energetic set like that. You have to find different inroads. If you're a singer-songwriter, don't just sing love songs; if you're a rapper, don't just rap about the hood. Just find different masts. That's why André 3000 is so successful because he does whatever the f**k he wants. So find different inroads and take yourself out of your comfort zone. I don't necessarily always go and play singer-songwriter nights. I'll play hip-hop nights, comedy nights, poetry nights, and R&B nights. So that's quite important to do. MR: And that's how you were discovered by Jaime Fox, playing that unique venue. ES: Yeah, but that's the thing. If I'm an acoustic man, I played an acoustic (set) at SXSW and it was awesome. But all the acts on the bill...I was watching them and I was like, "F**k, this guy's better than me!" You get to that stage where you're playing with so many PC guys that you just blend in with them. So the best thing to do is go on bills where you really don't fit it so you're either going to fail or you're going to really succeed. Don't do a hip-hop night when you're a fat, ginger kid from England with a guitar, you're either going to have a really s**t gig or be the stand-up person of the night. So it's a good risk to take. MR: And you're using all the social networks? ES: I wouldn't say "using." I've never really used them. When you come from a generation that grows up with them and they're embedded with you... Nowadays, you see labels say to new acts that you need to get Facebook, you need to get Twitter. It was never like that. I just gradually got a Facebook, gradually got a Twitter, didn't really want to get them at the time. But you need to get them, so you end up getting them. The labels use them as marketing tools. The reason that people buy (my) records--since you can easily illegally download any album--is that people think I'm a nice person, and they've worked that out through Twitter. So it's not so much a marketing tool, it's a tool to make your fans get to know you better. Once they know you, they want to support you, that kind of thing. MR: OK, so what's down the pike other than the tour for +? ES: America is huge, so I'm going to be here for a while. I'm going to be doing radio, TV, touring. I'm not going home until it's done, basically. MR: Any parting words of wisdom? ES: Back to the nuances thing. Bill Cosby said something really good back in the day. He said, "I can't teach you the key to success, but the key to failure is trying to please everyone." So just do your own thing and make sure it pleases you. MR: Thank you very much, Ed Sheeran, and best of luck with the new project. 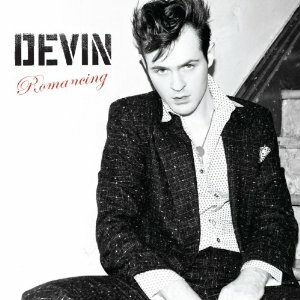 Devin: Hello, how are you? MR: Peachy. So what's your deal? What is "Devin"? D: Devin is pretty straight rock 'n' roll. We have a high-energy set that we play. We're brand new and we're having the album out so we have a lot ahead of us. MR: So you're on the Frenchkiss label and there have been all these comparisons to David Johansen and Iggy Pop. Are they fair comparisons? D: Yes, I agree with all of that. That's the source material that I'm taking from directly and that's the music that I like, so that's what I'm trying to do. MR: So beyond Iggy, David Johansen and the New York Dolls, who or what are your influences? D: Those dudes. The '70s were really great for rock 'n' roll. Iggy Pop is just genius. Besides that prot-punk stuff, definitely, original rock 'n' roll, which is what they were going back to in the '70s--'50s stuff. MR: What do you think of classic acts like The Rolling Stones? D: I don't like them. (laughs) Mick Jagger is the best, undeniably. MR: Let's look at some of the songs on your new album Romancing. First of all, you start off with "Masochist." D: That's my favorite. It's also pretty much the newest one, I wrote it right before we went into the studio. We recorded in August, so it was a while ago. MR: So this album has been finished for a bit. MR: Are there any songs that didn't make the album? D: Yeah, we recorded eighteen and twelve made it on there. They're all good songs, it's just what the album was about at the end. I just wanted to record everything that I had, I had twelve songs. MR: Considering your larger amount of songs, how did you end up slicing away six songs off the project? D: It was really difficult because it's not just me. People paid for the album so there are other people you have to deal with. But it's the label that managed me. There are like ten lists coming, "I think this, I think this...," so it's always a fight. But luckily, we had the theme of romance. MR: With an album titled Romancing, but then there's that opening song, "Masochist." MR: (laughs) Well, that's one way to romance. By the way, how old are you? MR: Okay, and I imagine by now, you've racked up plenty of relationships and even if they weren't super deep, you've at least had entanglements. D: It doesn't even have to be personal. You see people, just your friends, what they go through. MR: Exactly, that was my next question. How do you write, where does it come from? From personal experience or also from observing other people? D: It's all of it. It's fantasy, even daydreaming about having a horrible relationship. Just to have that crazy emotion that you never even had or you saw somebody else had, or from friends, or obviously personal. It's all of that. To build a song that is its own specific thing is not real life in the end, you're trying to make a good song. MR: Do you sit down in back of an instrument or hear it in your head then go to the instrument later? D: A bunch of different ways. But all these songs that I have, these are the best songs that I've written in my life, this whole group of songs, that rock 'n' roll style. I've recorded them all at home first--demo versions on my computer--and I use mostly programmed instruments, programmed drums. I usually start it with the drums, and then try to work up the melody. But it's mostly the rhythm, which is really important to me. That's why it took me so long to find a drummer for this band, to find a drummer that could do the rhythms. To play a half-an-hour set and all the tempos are 180, you need a real tough guy to do it. MR: How tight are you with this band and how tight is this band? D: We've been on the road for our third week, and that's it. We've played a couple of shows in New York but we've only been on the road for three weeks, not even, so there's not much experience. But I work them really hard plus they are really good musicians. That's why it took me a long time to find them because I didn't want to waste time with people that you know can't do it. We went to London for a whole week and that straightened us out because the audience was different than Americans. MR: Are they more demanding? How are they different? D: Not demanding, but their expectation for rock is much higher. Rock is so busted in America, you can really do whatever you want and people are like, "I guess." There's no expectation. But since rock is like a machine over there, in the UK, and I hear Europe...I haven't been there. They hold it higher and have an expectation. There are really great rock bands, which are respected there, which is not true here in America. MR: Why do you think that's the case? What happens there? D: Well, it's just a machine. I'm from New York and I really haven't traveled much. But in New York, there's a hip-hop machine on the radio and it's awesome. Me being rock, I could never be on a hip-hop station, it doesn't make any sense. But a new hip-hop act comes out and you see they're on the radio, which is huge. Everyone's listening to it. I hear about all the things that are happening, they're selling out shows for new artists, they're talking to them, you get to know them. There's no rock machine like that in New York. MR: Everything's in New York, although it's really scattered. D: Exactly. You could do whatever you want. It's really fragmented. MR: What got you into music, what got you into performing? D: I started late because I wasn't that ambitious or had dreams when I was five, like, "I'm going to be a rock star" or anything like that. It doesn't make sense to dream about something that's not possible. But then, it was just out of pure boredom. After I went to college, I'm just hanging around in Brooklyn doing absolutely nothing. So just out of pure boredom out of my room, no friends worthwhile or anything, out of that, I found Iggy Pop, which is really important to me. Then I started looking at that music, so later, a couple years ago, I started really getting obsessed, seriously obsessed. I could have recorded on a computer, anyone could do it, so it was just me listening on headphones recording all the time, all day. I started to get good songs, finally, after a year of doing that. I got the first song and thought, "Wow that's a good song." I started building on that, figuring out what I could actually do. MR: You're a late bloomer, sir. MR: You mentioned that you began creating because you were in solitude. Was that solitude also the place where your topics came from? D: Yeah. I have a song "In My Solitude," that's pretty straight-forward. It really is, it's just me. That's why it's a different band, and that's why it's been hard to find a band, to find people to surrender themselves to the project. There is really no other creative input--it's not a band where we're all coming up with parts, it's not like a collaborative thing, even in the studio. It's difficult. MR: Did you produce yourself? D: No. I wanted to, but didn't. We worked with Chris Zane who's a great producer. He got a great sound. I was extremely nervous. I was giving it up from working on my own and producing all this stuff, which was really nerve-wracking, for a stranger to come in and produce the album. We had a lot of talks throughout the recording of it. But it came out really great. MR: How were you "discovered"? D: That was great. The thing is, I really hadn't performed much, I didn't have a band. I just had the demos, but I was sending the demos to everyone, just emailing them, emailing all the songs to whomever--promoters, labels--not expecting much. I didn't send it to French Kiss, but I sent it to Neon Gold, which is a singles label and has some sort of connection with French Kiss. Sid got it, and I wake up one more, just a regular morning, I don't think I was working, I go in the emails and see a MySpace message and think, "What is this?" "MySpace - Sid." It says, "This is Syd of Frenchkiss" through a MySpace message. What a weird way to do it, but it was crazy. MR: And considering MySpace these days, I'm going to throw it out there, it seems like it's kind of dead, right? D: Yeah, it was so weird. I don't know why he chose to do that. But Sid is awesome. That was basically a long time ago, a year and half ago, that he messaged me. We met a bunch of times and he said, "I want to make that album and I think you should be here." That's where it started. But it started from the demos because he heard these songs and he knew that they were good, that they could be good. MR: We talked a little bit about "My Solitude," the basics of where that came from, and also "Masochist." Can you also go into your cover of "Born To Cry"? D: Yeah, "Born To Cry." That's taken from Johnny Thunders, or that might be a Dion song that he covers, "Born To Cry." We just took it because it's great. Both artists are great, so I got that in there. That was a fairly early song that I wrote out of this grouping. It's a fairly upbeat song, I'm taking from more early childhood songs. But all the songs are life-affirming songs. They're all positive songs. It's like being happy about even the terrible times. MR: Even with titles like "I Died In New Horrors"? D: "...New Horrors" is a great love song, a realistic love song, same as "Masochist." MR: I love the concept behind "...New Horrors," it's like, "Do I really want to be in another relationship?" D: Exactly. Yeah, are we going to do this? But we don't have any choice so we go through it. MR: So what about "Forever Is Only A Moment"? D: Yeah that was a later song written around "Masochist." "Forever Is Only A Moment," that's a different song, I don't think it's a direct song to a girl. A lot of them are like from me to a girl," written through that tone. "Forever..." was pretty complicated for me, the rhyme scheme. I was thinking about it differently, the whole music loop is taken from Ricky Nelson "When Fools Rush In." MR: Right. "Fools rush in where angels fear to tread..."
D: Right, that song. I heard it, got really obsessed because that's what usually happens. Most songs are based on another song, or have something, a direct feeling, in mind. That one? I just loved it, the guitar solo, it was really crazy. It's a great sound, and rhythm. I don't have a song like that, so I just took that and I listened to that, and I think about what I could write about. It's a different kind of song, "Forever Is Only A Moment" is a broad idea song. MR: Even though you're a new artist, what advice do you have for new artists? D: I think recording on your own is really cool because it worked for me. I know a lot of musicians. If you're in New York, everyone is a musician. You hear about all the terrible things, they tell you something and you think that's a terrible idea. Like, I'm going to waste $5,000, go into a studio, just be rushed, and have a terrible recording, that's just not worth it. I think I spent $1,000, but this is a while ago. I bought an Apple computer, speakers, and an M-Box, ProTools and that's it. That's all you need. I had a guitar and plugged directly in. You just can record. When you record and you can hear your voice back, you hear what you're doing, there is no lying or anything. You hear yourself and you hear what you're capable of doing. Then you can work on that privately, with no other pressure, in your room. Then you have a recording that you can give to people, it's real proof and it has helped me. That's the reason that I got French Kiss. MR: Words of wisdom, Mr. Devin? D: More words of wisdom? MR: Yes. In general, to the world, not just to new artists. D: Stay positive, life is pretty horrible. I say life is horrible, that's my default face and energy, but obviously not. I'm having a great time. But yeah, stay positive. MR: That's good. Stay positive. If you were in a room with David Johansen right now, what would you say to him? D: I wouldn't say anything, I don't want to know. MR: Is that because you don't want to break the image of your hero? MR: Excellent. I understand completely how one puts them on a high pedestal, and then they become human. D: Definitely. I could be let down so easily, even going to places, any new thing. So I wouldn't want to do that. MR: Devin, I really appreciate your time, all the best of luck in the future. D: Thank you so much, I love that you talked to me.